My new favorite gun over the last six months has been my Tavor bullpup rifle from IWI. It is a design which just flat out works. My original quote in my review a few months ago was that the "Tavor is a Glock in Rifle clothing". The quote thrilled IWI. In talking with them after the review, my quote summed up their design intent to to deliver exceptional reliability in a rifle format. They accomplished that goal big time and to this date I have still not cleaned the rifle since pulling it from the box, have never had a malfunction and have over 3000 rounds through it and counting. I love this rifle because it is dependable, accurate and fast. Though everyone seems to have the same love of the IWI Tavor rifle as I do, the trigger feel has been of great debate. For the intended purpose of this rifle, the trigger is just fine from my perspective. Many writers and reviewers though have loathed the longer take-up defensive feeling trigger, but luckily Timney now introduced has a drop-in match grade trigger unit for the Tavor which should make even the pickiest shooters happy. Thanks to the Tavor design, replacing the trigger takes less than a minute total and is absolutely a drop-in tool-less upgrade. 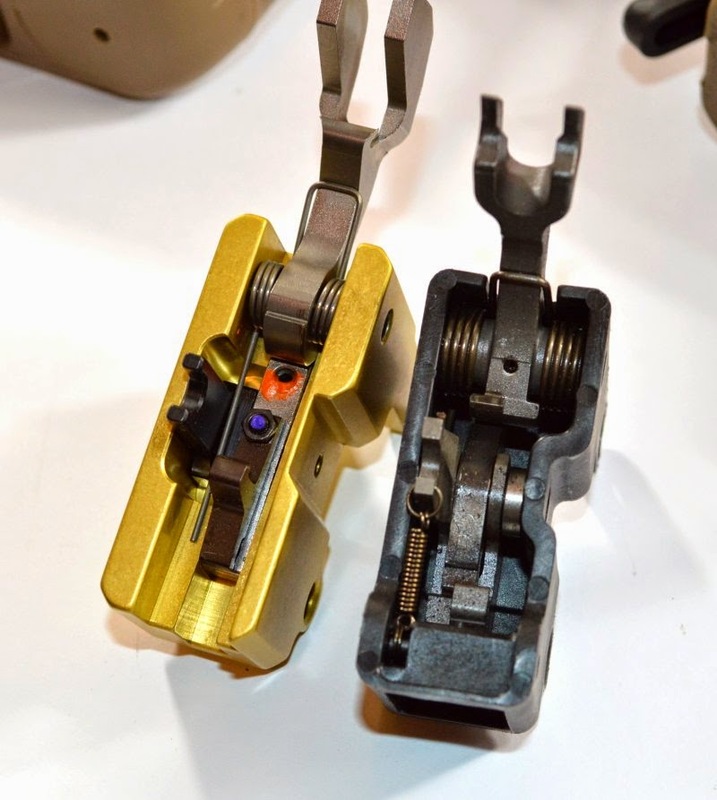 Timney was founded in 1946 and began by making replacement triggers for Mauser rifles. Over the last 60 plus years Timney has been making triggers for a growing list of firearms such as Ruger 10/22s, to ARs, to even Mosin Nagant rifles, Tavor, and more. Every trigger component is made in house right here in the USA. Their triggers are well known and used extensively within the competition circles and for good reason; they provide an outstanding single stage trigger feel all while also being the best trigger values on the market. 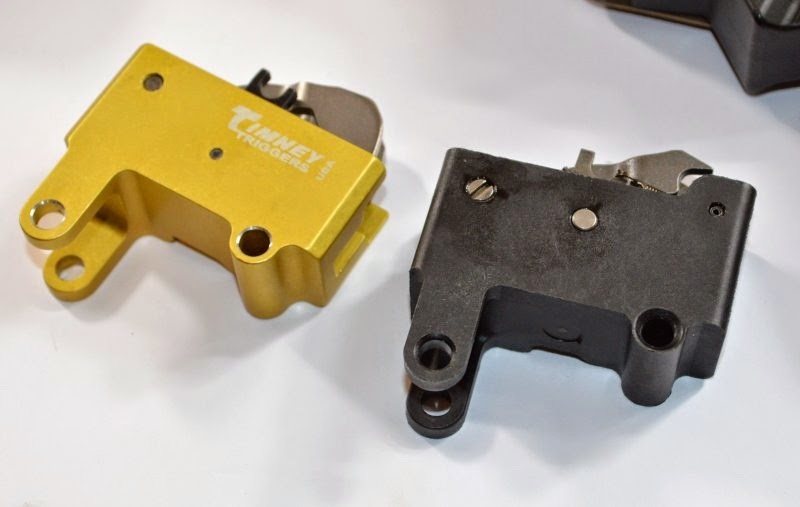 Part of the reason the Timney triggers are so well regarded is that each trigger is hand assembled, tested and calibrated to the highest quality standards in the industry. Timney also goes the extra mile by offering expert installation for those customers that need it and a product customer service second to none. As with any well respected company, all Timney Triggers come with a lifetime warranty; if you have a problem down the road, they will back it up with warranty and customer support. One of the reasons I love Timney is that they are the only Match grade trigger manufacturer who delivers a wide varied product line for many different rifles. Most trigger manufacturers focus only on the AR15/AR10 or Remington platform. 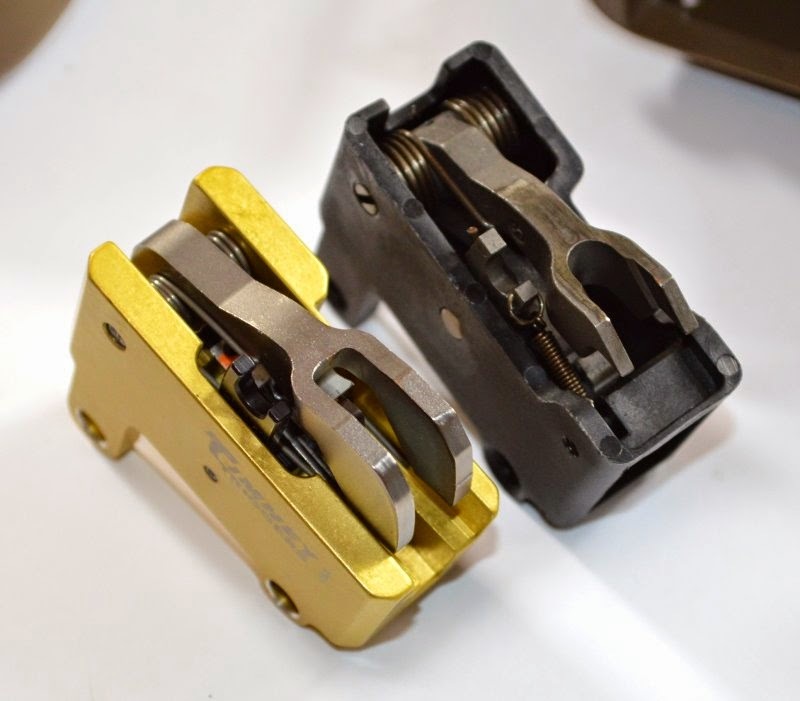 Timney on the other hand is the only manufacturer, as of this article, which offers a match grade trigger for the Mosin Nagant and Tavor. In total they offer triggers for over nineteen different firearms manufacturers and many trigger designs for each of those brands specific models. In most cases, Timney offers pre tuned non-adjustable “cassette style” factory tuned triggers units. This concept offers a number of benefits. The first is that the trigger unit can be literally dropped in as an entire unit into the rifle instead of requiring a bit more assembly skill from the end user. 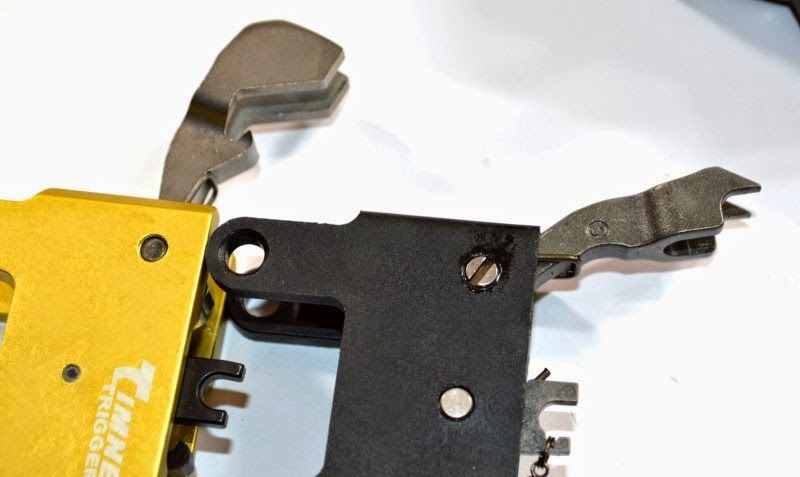 These “cassette style” trigger units are one of the easiest for novice and beginner home gunsmiths to install. The other benefit of the Timney design is that they are factory tuned non-adjustable and cannot be tuned by the user. The vast majority of us simply do not have the mastery of trigger tuning to properly and safely tune a trigger, however some of us believe we do - thus a great reason to buy triggers which cannot be tuned such as the Timney models. I have five Timney triggers and I will guarantee that I would not be able to improve the feel over the factory tuned state even if I could tune them. Timney makes great triggers. 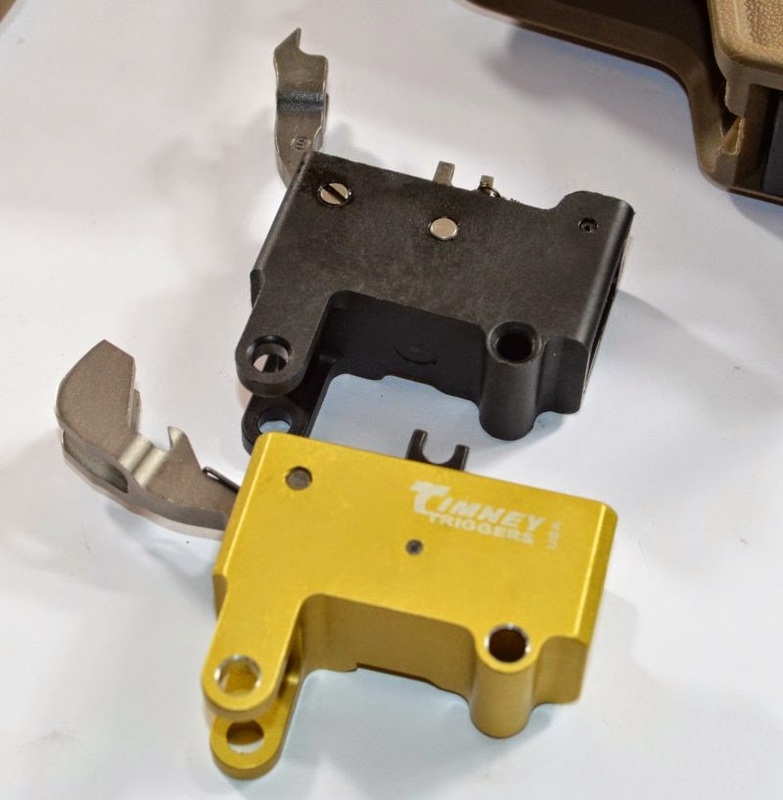 The fit and finish of the Tavor trigger unit is the same premium quality shooters have come to expect from Timney. The cassette billet 6061-T6 aluminum frame is beautifully gold anodized and so pretty you really hate to hide it inside the gun. Although the Timney trigger drops into the Tavor, it is quite a bit different from a functional perspective than the stock Tavor trigger. The body is billet aluminum versus the polymer stock trigger body, the Timney uses a heavier and extended hammer, the trigger actuator prong is tensioned differently, the sear engagement is different, as are the springs. In fact beyond the external dimensions of the trigger body assembly, pretty much all the trigger internals are set up differently. 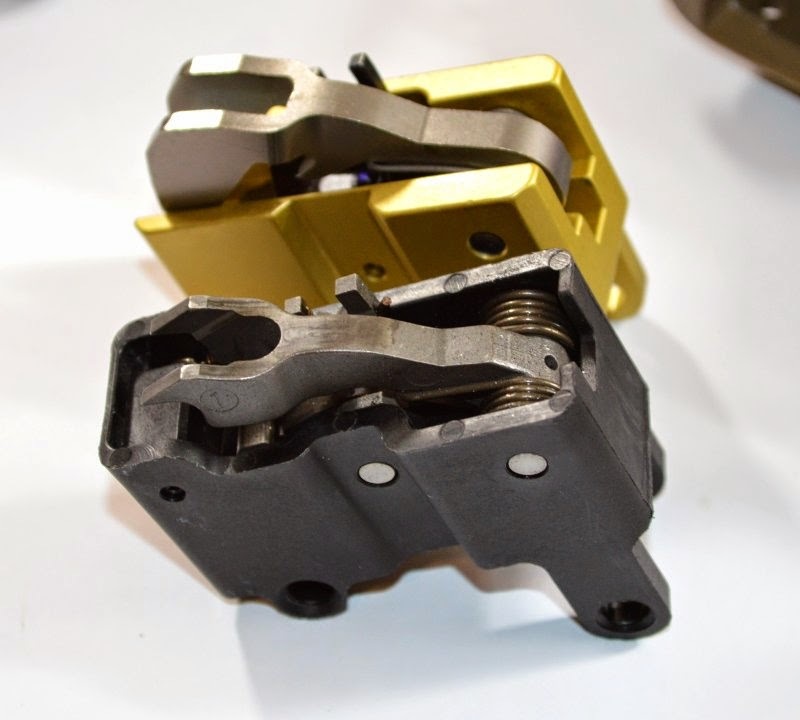 The internals are all wire EDM cut for precision, just like all of Timney’s other trigger models. This delivers very precise and repeatable trigger tuning and manufacturing. Timney also Teflon Nickel coated the hammer to increase reliability as round counts increase. Where Timney typically offer single stage triggers, the Tavor trigger delivers a two-stage trigger feel due to the extended bullpup trigger linkage. The trigger is still a very crisp non-adjustable 4lb trigger, but just a bit different feel than what you will find in Timney’s AR line of triggers. One notation of this upgrade is that Timney notes the their trigger is not compatible with supressor use. My assumption is that the suppressor use increases the crap buildup in the chamber and trigger area and this may cause problems, however it could be a pressure and higher cycle rate issue as well - I do not have suppressor and could not test what the problem supposedly is. Even if you have a supressor, you can easily swap between the triggers back and forth in under a minute. Clear and charge the Tavor so that the hammer is cocked, drive out the two trigger retainer pins, pull out the stock trigger unit, pop the Timney unit in and push the trigger retainer pins back in -DONE! Easiest trigger upgrade on the planet. I was lucky enough to score some less expensive 5.56 plinking ammo and pushed a little over 500 rounds through the Tavor with the Timney trigger installed. The trigger is indeed considerably better than stock, not as mushy, has far less takeup, and a world more crisp. I believe this is the trigger upgrade everyone was hoping for. Due to the inherent bullpup design, it is difficult in a $1400 rifle to have the tolerances to deliver a single stage match trigger feel. I have shot a number of bullpup Remington bolt action sniper rigs which are amazing, however they were about three times the price of the Tavor. On the Tavor that minimal linkage takeup feels like the first-stage of a two-stage trigger. Now the downside of this Timney Tavor upgrade. It is not cheap. In fact it is one of Timney’s most expensive triggers offered and probably one of the most expensive match trigger upgrades available for nearly any firearm that I am aware of unless the trigger is a one-off custom. Timney is generally about 10% less than the next equivalent competitive trigger manufacturer, however in this case the $353 MSRP is up there. Tavor owners are loyal, however there will be more than a few potential buyers who will shy away from the upgrade due to the price. Do I think it is worth it? That depends on you as a shooter. The stock Tavor trigger did not really hindered me in any way, and I am not sure the upgrade is justified for the occasional Tavor owner who bought the rifle for just home defense. 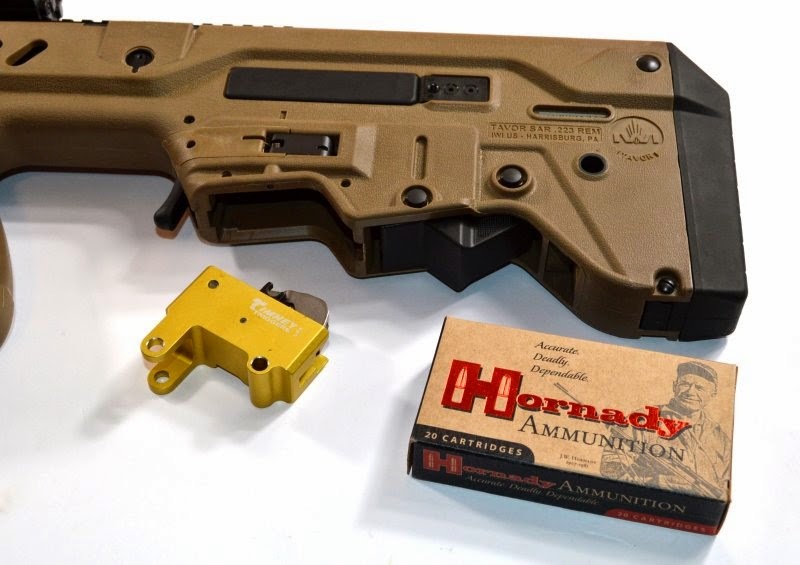 However, if you also use the Tavor for 3Gun, competition, or other shooter sports where 10%-20% accuracy improvement form a match grade trigger upgrade then I would say this is a great option. My Tavor has become one of my home defense rifles and when in that rotation, I pop in the stock trigger, but out on the range I slip the Timney back in. After I have a couple thousand rounds through the Timney trigger, I will feel comfortable enough to leave it in all the time, however at the moment the stock mushy trigger is my choice for home defense. 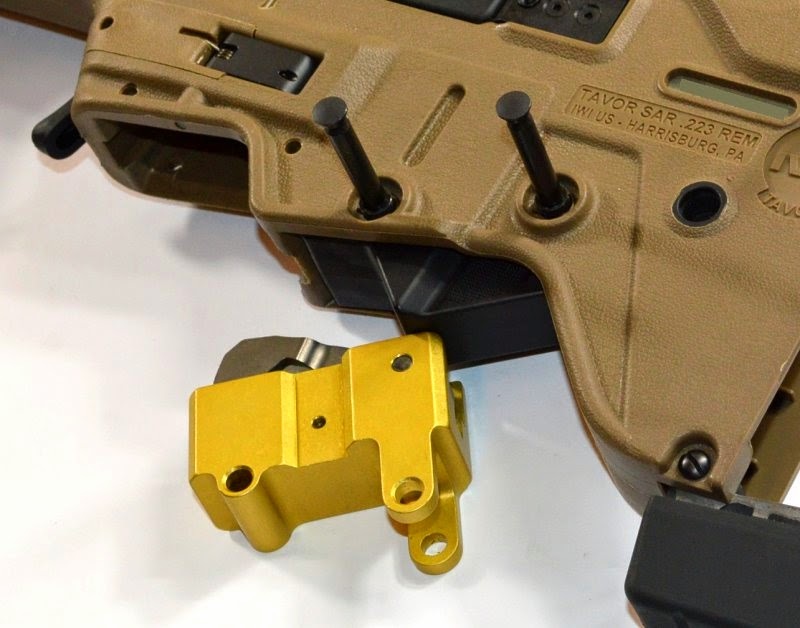 The Timney Tavor trigger is a huge upgrade in finish and trigger feel which elevates the Tavor to the expectations of AR15 match triggers and it should for the price. 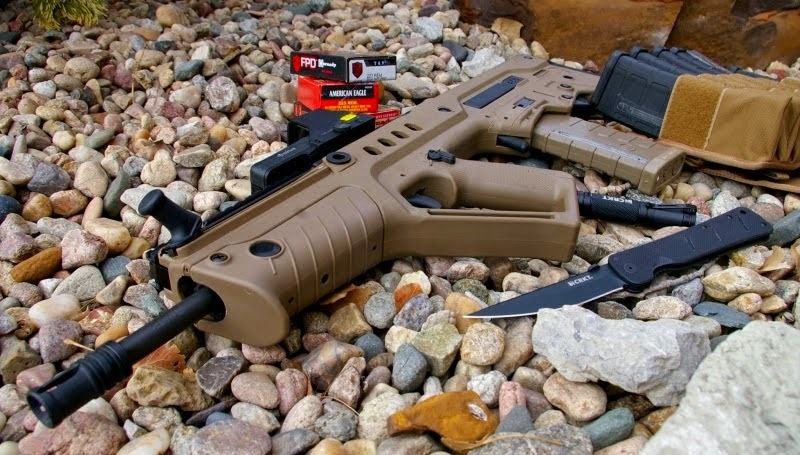 Picky shooters will rejoice at what this trigger offer the Tavor owners. Historically I have found validated a general rule that a match trigger upgrade will increase accuracy by 10%-20% which it did in this case. Where the stock trigger historically delivered groups around 1”-ish 100-yard groups from the Tavor with garden variety mil-spec ammo and a decent powered optic, the Timney trigger allowed me to sneak in a few groups under that magic 1” range with the same ammo. The trigger is not special voodoo, it just allows a margin of precision which the stock trigger does not. 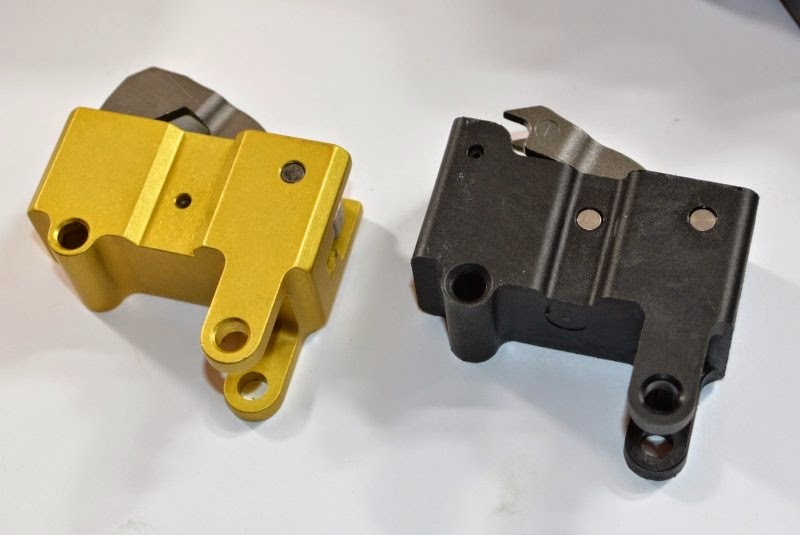 I applaud Timney to taking the effort, time and expense to design not only just a better replacement match trigger, but one which is clearly a new design from the ground. 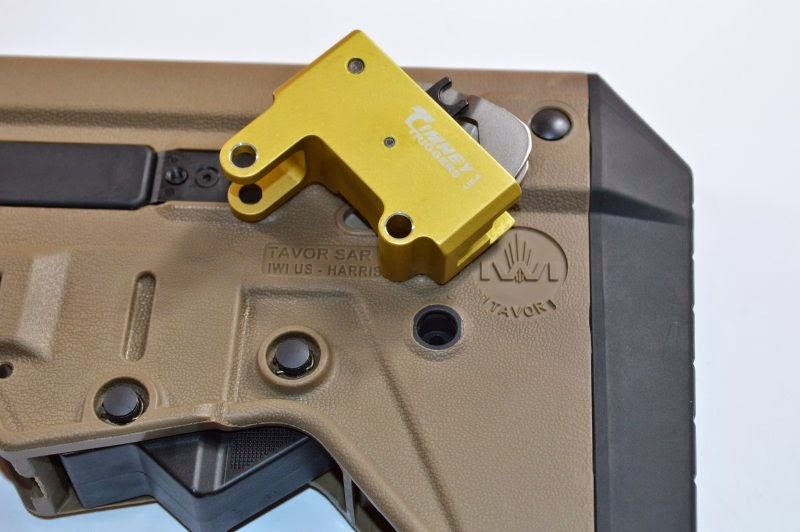 This new drop-in trigger allows the Tavor to perform at a higher level than what IWI initially imagined and is the fastest and easiest trigger swap on the planet.